Founded four centuries before Rome, Tivoli is located on the lower slopes of the Sabine Hills, twenty miles east of the Eternal City. Join Italy’s Best on a Tivoli day trip get away from the busy capital and enjoy a relaxing excursion as you travel through the serene countryside. See the evocative ruins of the famous villa built by Emperor Hadrian (Villa Adriana) in the second century AD, which was inspired by the monuments he had admired while travelling through Greece and Egypt. 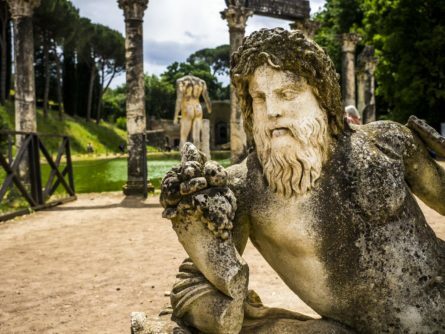 Though this UNESCO World Heritage site is now in ruins with only traces of its original grandeur remaining, the landscaped pools and grottoes have influenced subsequent garden design over the centuries. Your journey into the past continues at the magnificent Villa d’Este, one of the most beautiful residences of the late Renaissance. Another UNESCO World Heritage Site, this masterpiece of skilled Italian architecture and garden design is inspired by Hadrian’s Villa. You’ll discover how the villa’s countless fountains create a graceful symphony of carved stone, shade, sunlight and water as you wander through the magnificent Renaissance gardens.